We are a family owned and operated Landscaping and Hardscape business. 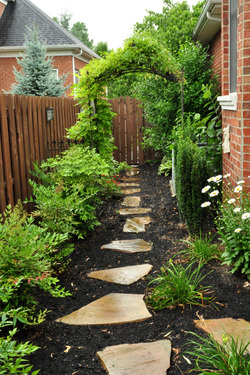 Do not let that fool you though, we are a recognized professional landscaping firm. We are backed by G & G Nursery, which is a wholesale grower of quality tree and plant stock. Since 1985, G & G Nursery has been growing quality planting material, currently farming over 200 acres along the Ohio River, giving Creation Gardens and Design unique access to quality plant material and years of growing experience. This access to such a wide variety of quality stock helps make Creation Gardens and Design your first choice for top quality landscapes. Whether it is creating a beautiful backyard garden, a spectacular patio, outdoor kitchen, privacy screen, doing yearly maintenance, or anything in between; our talented team of designers, consultants, and installation crew is ready to help. We have the resources and expertise to handle landscape projects large or small, and a desire to create a unique outdoor environment just for you.